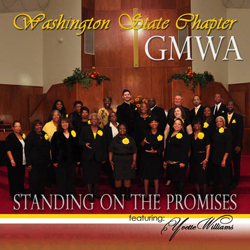 To the official website of The Washington State Chapter of the Gospel Music Workshop of America, Inc. Thank you so much for stopping by. At this site you will find information about the National GMWA, happenings with our Sister Chapters, local and national events, and highlights of our individual churches. Our Goal and Mission is to provide encouragement, exposure, opportunity, and information to musicians, songwriters, directors, and singers who desire to enrich and develop their skills and passion for gospel music. We are dedicated to the perpetuation of gospel music as an original American art form and to the promotion of gospel music to the world. We are committed to utilizing gospel music as an alternative outlet for frustrations brought to our young people by peer pressure and social ills.